Girl Scout Destinations are the ultimate adventure for individual girls ages 11 and up looking for a life-changing experience. With different trips available every year, there’s something amazing for everyone to explore. 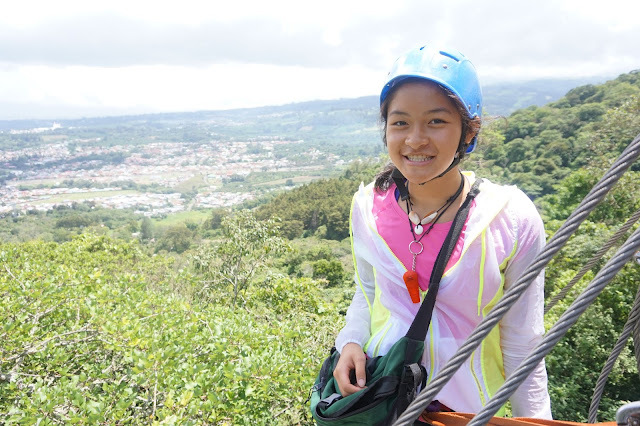 Tein Vo, a Girl Scout Ambassador from Girl Scouts of Wisconsin Southeast, sat down with us to talk about her recent Destinations trip to Costa Rica. Girl Scouts: What Destination did you participate in? Tien Vo: I participated in the Catching Waves in Costa Rica Destination. 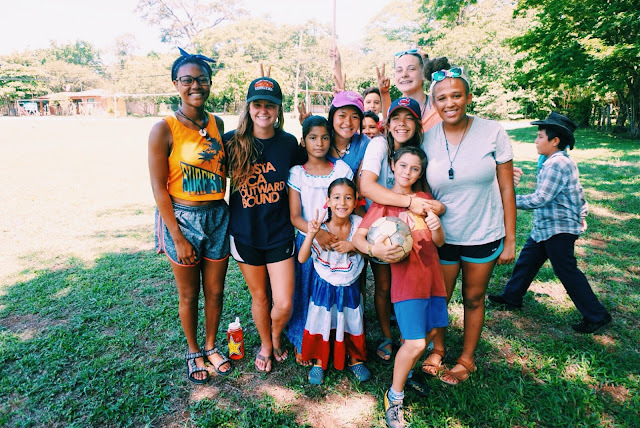 It was an action packed, ten-day trip where we went camping, learned how to surf, whitewater rafted, zip-lined, served the community, and practiced our Spanish language skills. Overall, the trip was much more than the activities we participated in. Girl Scouts: How did you find out about Destinations, and what inspired you to apply? Tien Vo: I have always loved to travel, help others, and experience new things. I heard about Destinations from other Girl Scouts in my community and decided to look into it. Looking back, applying for a Destination was the best decision I have made, because my experience has inspired me to live in the moment, to show compassion, and to live the happiest and healthiest life possible. Girl Scouts: What advice would you give Girl Scouts who are thinking about going on a Destination? Tien Vo: What you put into your time on Destination is what you will get out of it. Don't be afraid to try something new, because you'll regret it more if you don't try. If you are afraid, have courage. Destinations are the best place to get out of your comfort zone, because no one will judge you if you do something embarrassing; by the end of the course you and the other Girl Scouts will all be a family, and family supports each other. Make the most of every experience and every chance you get. The same moment won't happen twice. Look at every situation as another adventure and begin it with an open mind. And of course, live in the moment. Girl Scouts: What have you learned from your Destinations experiences? Tien Vo: The main lesson I took away from my Destination was to always live in the moment. So often, we forget that the moment we are in right now is the most important; the past is done and over with, and the future hasn't happened. At home, everyone is so caught up in social media, phones, clocks, and calendars. We miss the moments and the company we are in. Those 10 days I experienced in Costa Rica were the best days. Girl Scouts: Is there a particular moment you can remember from one of your Destinations that illustrates for you why you feel travel is important? Tien Vo: There were so many amazing memories from my Destination, but if I had to pick one thing specifically, it would be the last night on the beach when we sat around the campfire and reflected on everything that we learned and accomplished, and spent quality time with everyone on our course. Creating these once-in-a-lifetime memories was priceless. Even though there are a lot of things that we can learn about a place or a culture from a textbook, the ability to personally experience life in another place and interact with people who live thousands of miles from home is incredible. Girl Scouts: How has the Destinations program inspired what you want to do in the future? 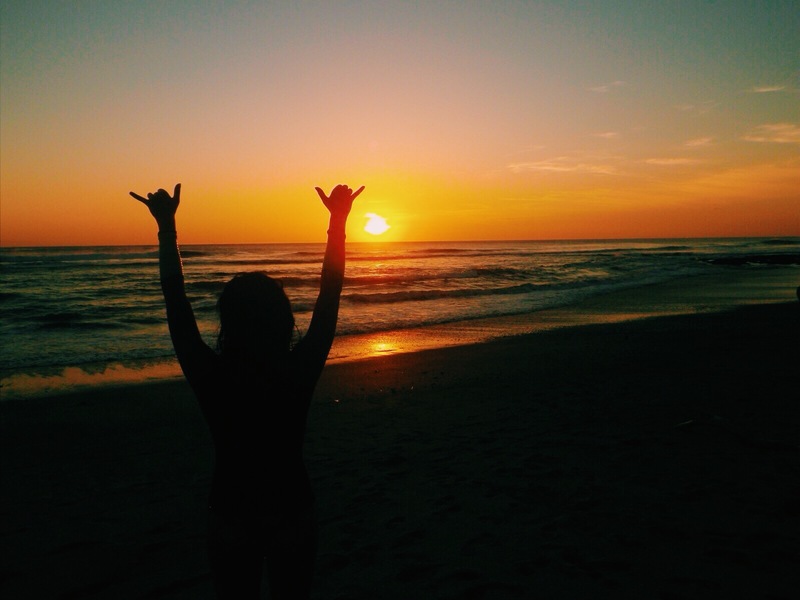 Tien Vo: My Destination in Costa Rica has changed my life for the better. I look at the world differently now, because I know that there this so much more to life than I thought there was. Those ten days sparked a passion. Passion is something that will forever motivate me in everything that I do, because now I can't just do things to get them done; I do things with purpose and make the most out of every situation. My Destination has inspired me to always challenge myself, break down the barriers of my comfort zone, and show compassion. If we show compassion to everyone who crosses our paths in life, no matter where we are or what we are doing, we can make our global community feel a little bit smaller. Girl Scouts: How did you earn money to travel on your Destination, and do you have any tips for other girls saving for a trip? Tien Vo: I know some may be a bit reluctant towards applying for a Destination due to the cost, but I promise that the experiences and knowledge gained from the Destination are priceless. Compared to other student travel programs, Girl Scout Destinations are more affordable. There are many scholarships available from home Girl Scout Councils and host organization for certain Destinations. I also saved up for my Destination by asking my neighbors if I could babysit for them or help them with yard work. It takes a lot of time and hard work to pay for any travel opportunity, but it definitely pays off. Girl Scouts: What kind of impact has being a Girl Scouts had on you? Tien Vo: Being a Girl Scout has impacted me in such a positive way. From starting as a Daisy to now as an Ambassador, I have learned so much about myself and have gained more confidence throughout my journey. Girl Scouts has opened the doors to a plethora of once-in-a-lifetime opportunities for me, and Destinations are just one of the many ways. Last year, I was able to speak at a women’s rights conference in New York City as a Girl Scout. Experiences like those have helped me see my own potential and have inspired me to speak up for myself and my beliefs. I believe that girls can do anything, and I hope that by sharing my experiences I can inspire others to live with a purpose, as well. If you want to experience the summer of a lifetime like Tien did, find out more about Destinations! 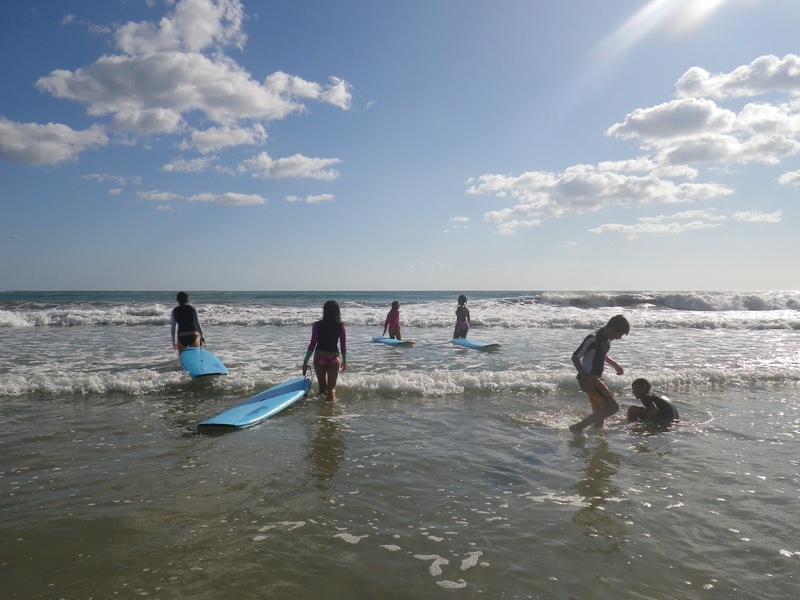 From surfing or rafting in Costa Rica or trekking the Andes or the Alps, to working with cheetahs in Africa or pandas in China, to high-adventure closer to home, Destinations has something for every girl! Contact your local council today to find out if there is still time to apply for Destinations 2016.